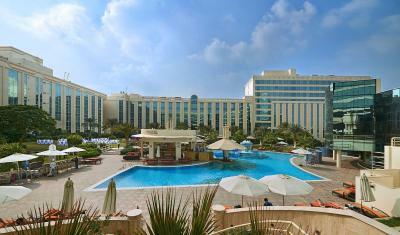 Lock in a great price for Millennium Dubai Airport Hotel – rated 8.4 by recent guests! 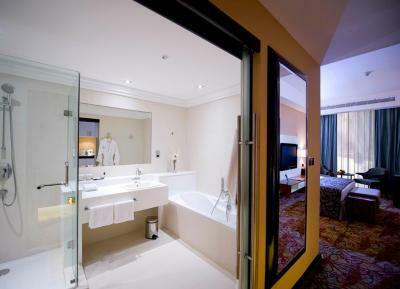 The luxury rooms are amongst the best. 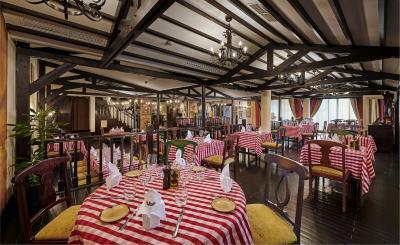 The staff is polite and courteous and go above and beyond. I am always pleasantly pleased. 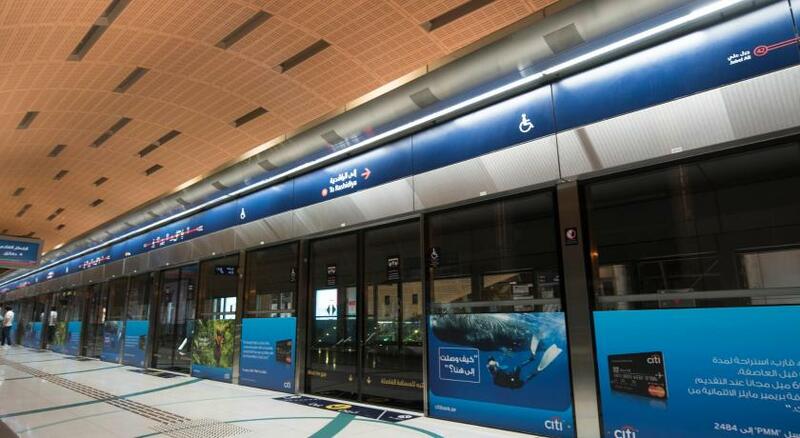 Just 5 mins from the airport with a free courtesy shuttle. 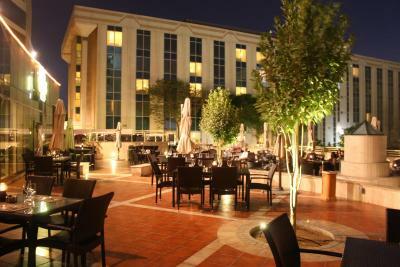 Very relaxed feel, lovely pool area, staff so helpful. Breakfast one of the best, choices for all. Suite was excellent, very quiet. Love this place. We always stay here when we are visiting Dubai or when we have visitors over. The pool area is lush, loads of space so you don’t feel on top of other people. 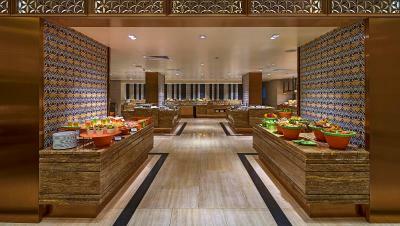 Loads of food options all in the entertainer. Great value for money. 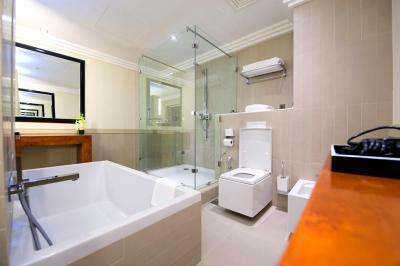 It was clean, the bed is really comfortable, and the restroom has all the requirements. Received free upgrade! The room was amazing. Very close to the airport. Very good hotel for the short night before a long flight! The reception staff are kind and welcoming. Shuttle to and from airport super easy. My room was fantastic, worth far more than what I paid. 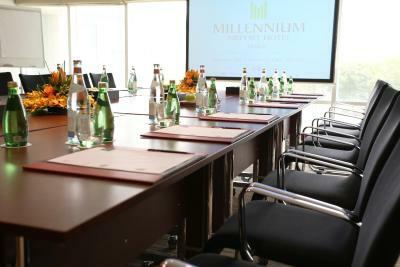 Millennium Dubai Airport Hotel This rating is a reflection of how the property compares to the industry standard when it comes to price, facilities and services available. It's based on a self-evaluation by the property. Use this rating to help choose your stay! Conveniently located just a 2-minute drive from Dubai International Airport, this International 4-star business class hotel features 4 restaurants and 3 bars, an outdoor swimming pool and a gym . The modern rooms are soundproofed and include a seating area. 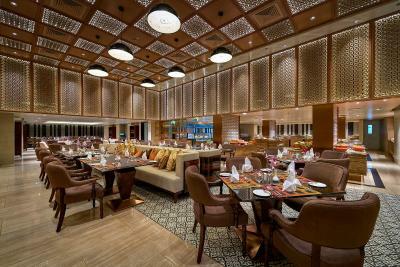 The well designed rooms at the Millennium Dubai Airport Hotel are decorated in warm colors. 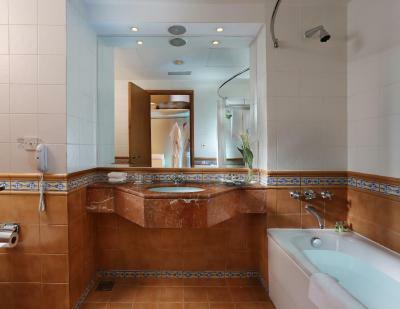 They have satellite TV and a private bathroom with toiletries. 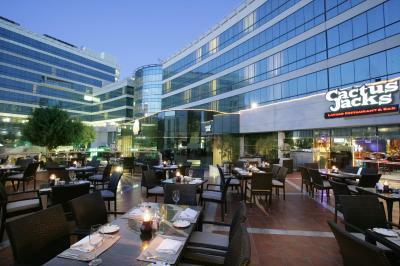 The hotel is located near GGICO Dubai Metro Station. 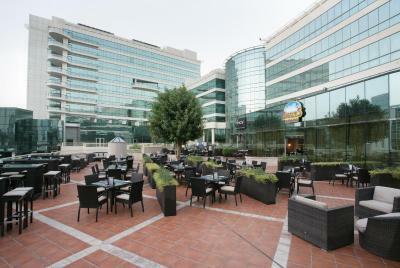 It is also within easy reach to Deira City Center Shopping Mall, Dubai Festival City, Gold Souq and Dubai Heritage Village and other major business districts and tourist attractions. 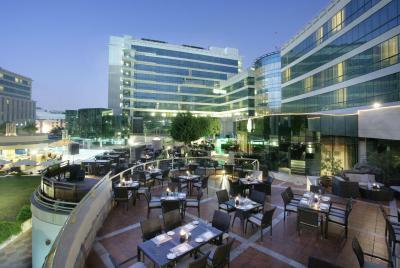 When would you like to stay at Millennium Dubai Airport Hotel? Located on the higher floors of the property, this room features a flat-screen, a mini-bar, a safety deposit box, ironing facilities and a work desk. It also includes a seating area with a sofa and soundproof windows. 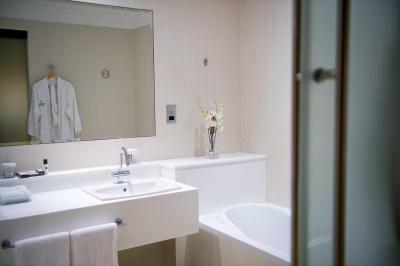 The bathroom is fitted with a shower and offers bathrobes, a hairdryer, free toiletries and slippers. Featuring a plush modern Arabesque interior, this room features a flat-screen, a mini-bar, a safety deposit box, ironing facilities and a work desk. It also includes a seating area with a sofa and soundproof windows. 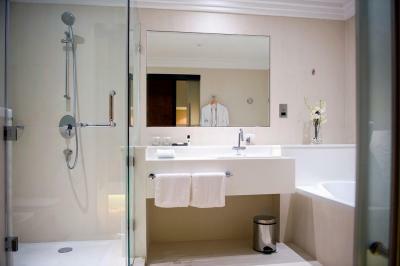 The bathroom is fitted with a shower and offers bathrobes, a hairdryer, free toiletries and slippers. 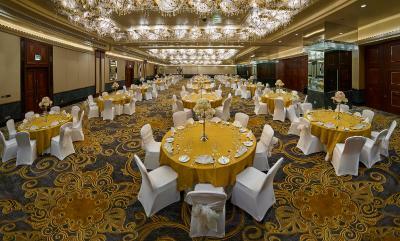 Designed with modern Arabesque features, this room features a flat-screen, a mini-bar, a safety deposit box, ironing facilities and a work desk. It also includes a seating area with a sofa and soundproof windows. 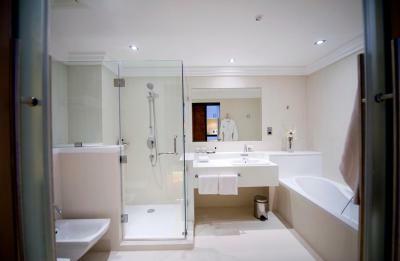 The bathroom is fitted with a shower and offers bathrobes, a hairdryer, free toiletries and slippers. 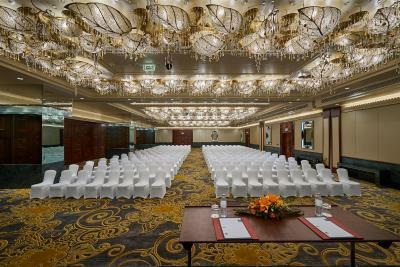 This room offers a flat-screen, a mini-bar, a safety deposit box, ironing facilities and a work desk. It also includes a seating area with a sofa and soundproof windows. 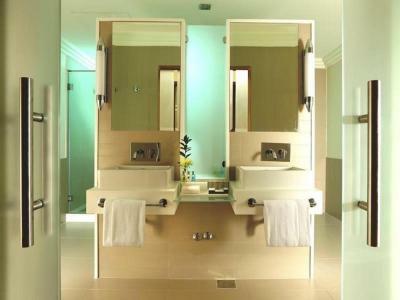 The bathroom is fitted with a shower and offers bathrobes, a hairdryer, free toiletries and slippers. This suite offers a flat-screen, a mini-bar, a safety deposit box, ironing facilities and a work desk. It also includes a seating area with a sofa and soundproof windows. 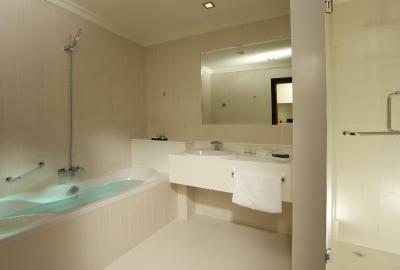 The bathroom is fitted with a shower and offers bathrobes, a hairdryer, free toiletries and slippers. 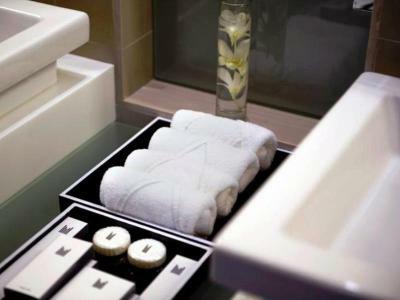 House Rules Millennium Dubai Airport Hotel takes special requests – add in the next step! 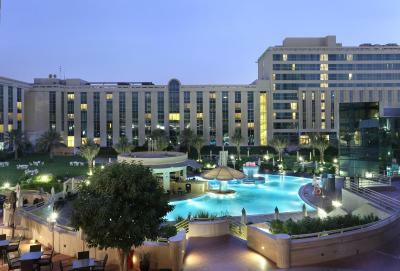 Millennium Dubai Airport Hotel accepts these cards and reserves the right to temporarily hold an amount prior to arrival. The hotel provides complimentary shuttle airport transfers between the hotel and Terminal 1 and Terminal 3 every 45 minutes. 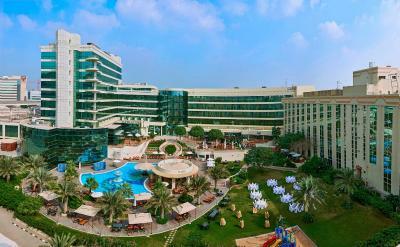 Please note that Millennium Airport Dubai Hotel reserves the right to pre-authorize the credit card prior to arrival. 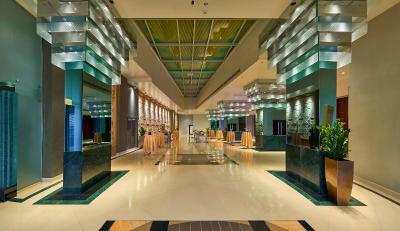 The credit card used for a prepaid booking must be presented at check-in. 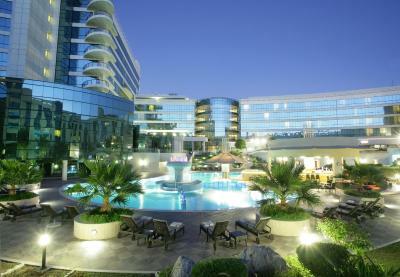 The hotel reserves the right to deny check-in or collect a guarantee payment in case the card is not available. 3rd party authorization forms are not accepted by the property. 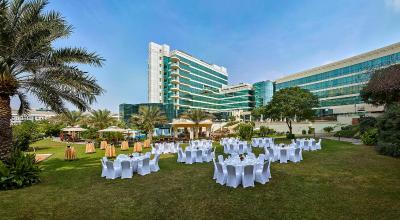 Please inform Millennium Dubai Airport Hotel of your expected arrival time in advance. You can use the Special Requests box when booking, or contact the property directly using the contact details in your confirmation. Very limited US channels especially since i wanted to stay in room and watch tv and relax...this was displeasing part of being in room. Everything was perfect. I could not ask for more or beter service. The staff performs above ecpectations. Staff attitudes were appalling. They realised i was in a difficult situation and exploited that to their advantage by making me book a room just to wait in the lobby. I have emailed asking for a refund but they replied saying they had arranged for a late check out for the next day, which was of course absolutely pointless. They don't even seem to read emails properly to understand the issues caused. Single 21 year old female travelling alone in the middle east for the first time. I had transport booked from the hotel for 1200hrs the day after my stay. The transport didn't turn up and I couldn't contact the driver. Hotel staff told me to either book another room for the night or to leave the hotel entirely. They wouldn't let me wait in the lobby for my transport. I booked an additional night so I could sort out my transport. The car turned up 10 minutes after I was essentially forced to book an additional nights stay. I tried to cancel the booking and they refused. Horrible customer service. The staff knew I was leaving for the airport very early, they provided me a sumptuous "bag breakfast" to take with me. I really appreciated the thoughfulness! Very nice staff . Very comfortable and clean. friendly and helpful staff. Early check in available. 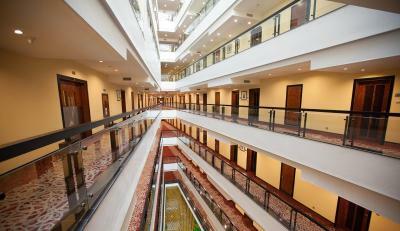 good location for business travel close to airport and shuttle available to and from airport. No shuttle service from Terminal 2 and not even alternative information as to the best way to get to the hotel. We only received notice that they did not serve Terminal 2 after the booking was made, so information about shuttle service is incomplete on the booking site. Took us 2,5 hours to get from Terminal 2 to the airport using the unannounced shuttle service of the actual airport. The hotel itself is messy and undetermined. Not dirty, just characterless. It has so much clutter that there is no real sense of unity. Also, we asked for our shuttle to Terminal 3 for 0740. The receptionist put down 0700, which meant that when we came back from breakfast to pick up our luggage at 0732, our passkey had been blocked. Which meant that we missed our shuttle. Thankfully, the manager provided us with drop off so we did not miss our flight. But they definitely have to rethink the passkey system, especially when one of their staff gets it wrong. Standard buffet breakfast. Good natural orange juice. Good variety to serve various different palates. we booked for king size bed with high rate, but at the property they refuse to give king size bed and they provide other room only.